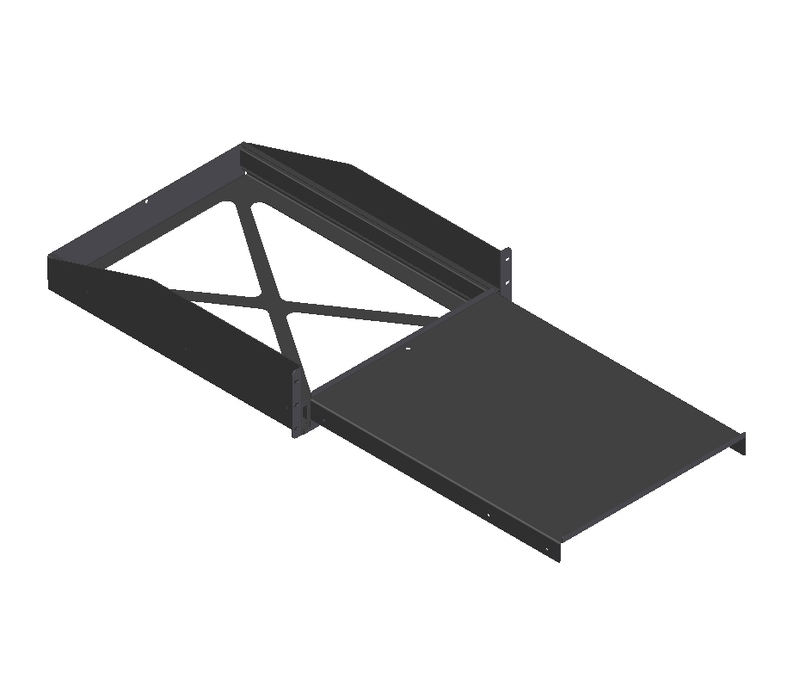 This product was developed to provide a useful pull-out shelf for use on carts and lecterns. 97503 takes up 3RU. Maximum capacity 80 lbs.